We acquired our first Akita about 8 years ago. From the moment "Arashi" came into our lives, things have never been the same. Shortly after getting our first Akita we bought another and another. We soon became involved in showing, conformation and obedience and have stayed active since. As our family continued to grow so did our love and respect for this magnificent breed. We find Akita's to be intelligent, loyal and very devoted to their human families. 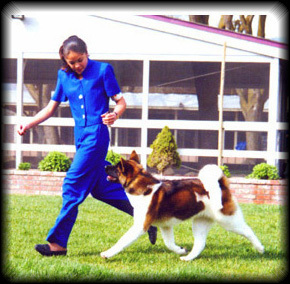 Our Akitas are OFA'd CERF'd and are thyroid clear if used for breeding. They are fed a "raw natural diet" and given alternative health care whenever possible. Our Akitas live with use and are part of our family. Want to join the Akita Ring?